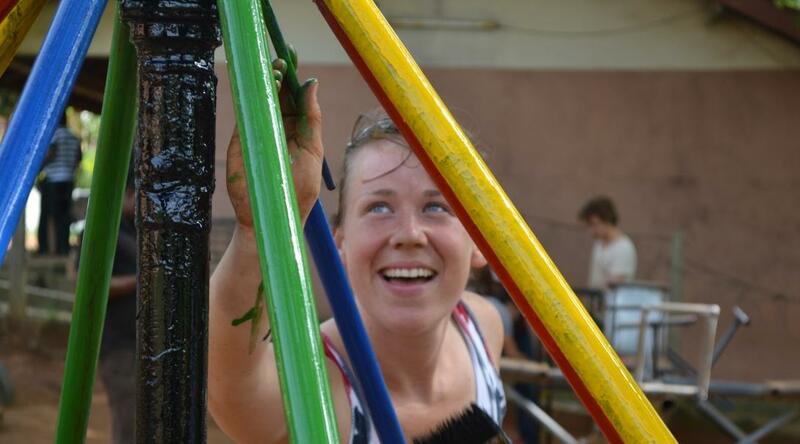 Assist with building volunteer work in Ghana and use your own two hands to provide communities with important infrastructure. 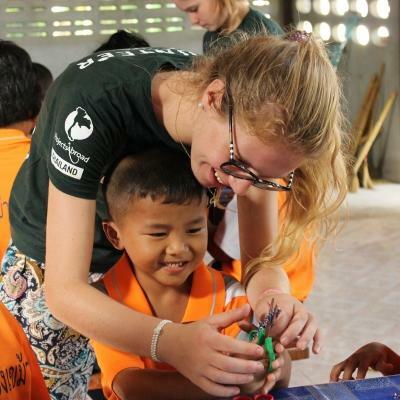 You'll work alongside local builders to construct classrooms, toilet blocks, libraries or homes. 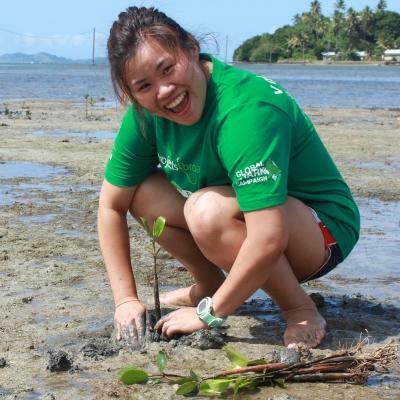 This is a great way to get actively involved in the community and learn new practical skills. Because of the building work you do, you will be able to physically see the effort you have put in before leaving Ghana. Everything you do is part of our efforts to improve quality of life for people living in disadvantaged areas. As a volunteer, you’ll work in one of the many little villages found in Akuapem Hills and stay with a local host family. 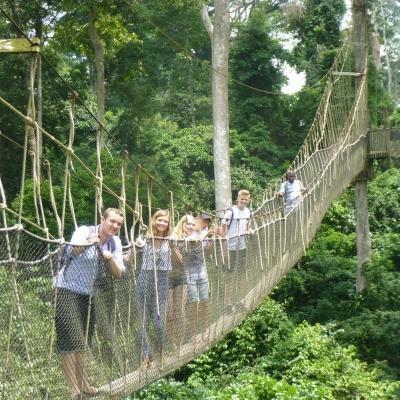 Try traditional Ghanaian food from the street markets and visit national parks over weekends. 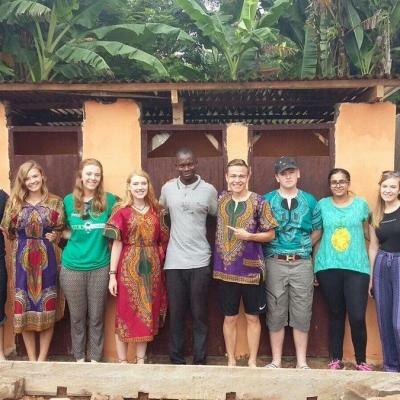 Is construction volunteering in Ghana right for me? Not afraid of hard work and getting your hands dirty? Then our Building Project in Ghana is for you! You don’t need experience, as our supervisors and local masons teach you everything you need to know. This is the perfect placement for anyone who wants to help using their own hands. 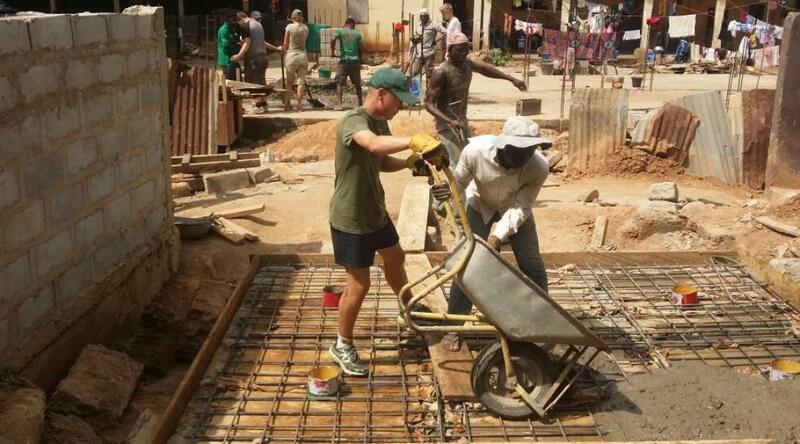 Construction volunteering in Ghana is also a great project for those who are interested in construction but it is also beneficial for those who are looking to add skills and experience to their CV. 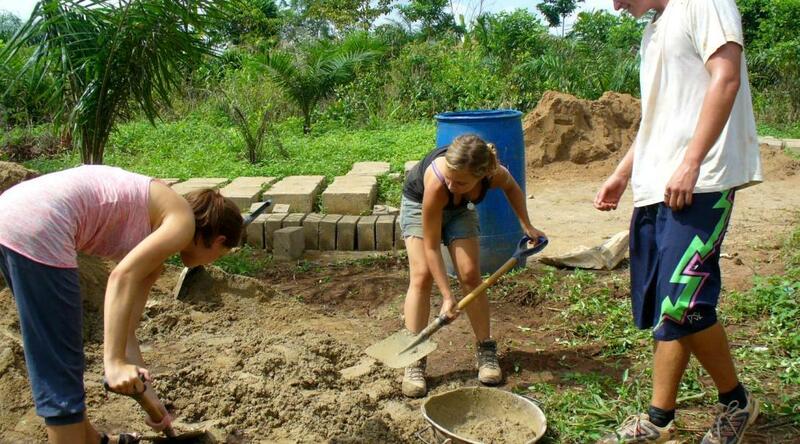 Volunteering on a Building Project in Ghana shows you are dedicated, hard-working, and adaptable. These are all skills you can apply to any job you pursue. Our Building Project in Ghana is available from as little as a week, and you can choose when to start at any time throughout the year. We encourage you to stay for as long as possible. The longer you stay, the more progress you make, and the more likely you are to see the final results of your work. The project runs all year round, you can start on any day, and it’s fully supervised. So all you need to do is decide on some dates, complete our application form with a £195 deposit and we’ll take care of the rest. 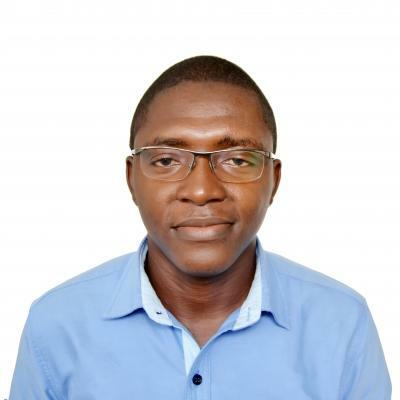 What will I do as a volunteer on the Building Project in Ghana? 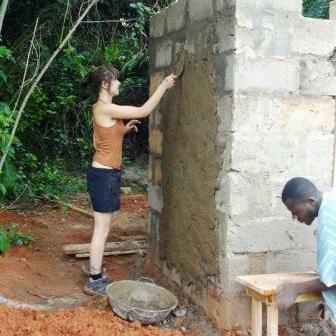 You will learn new building techniques from local builders when arriving in Ghana. Instead of regular brick and cement, you’ll prepare your own materials used for construction. 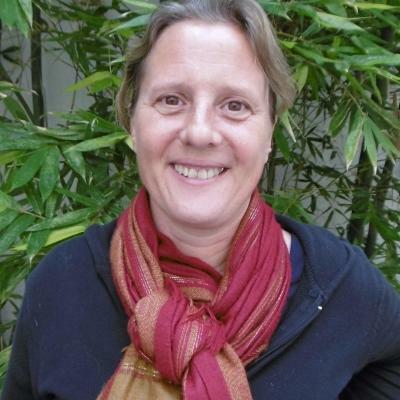 We’ll teach you to create environmentally friendly bricks using mud and some water. This involves applying the mud mix to a press and squeezing out excess water to give the brick its shape before leaving it out to harden in the sun. You’ll build classrooms or community buildings from the ground up by digging and preparing the foundations before starting on the structure. After the foundation is built, you’ll assist with laying mud bricks one by one and quickly construct the walls of the new building. A new classroom usually takes around one month to complete. A building is not complete until the final touches have been added. With the guidance of the local builders and your supervisor, you’ll help turn this building into something special. You’ll plaster the walls with a steady hand, assist with the laying of flooring, paint the walls and spend time landscaping or beautifying the outside areas. To help improve the learning environment for the students, you’ll also paint fun educational murals on the walls. This can be anything that will stimulate and excite the children such as ABCs, 123s, and colours. Where in Ghana will I be working? You’ll work at various building sites in the lush green mountainside of Akuapem Hills. This more rural region is home to a group of small villages where your project is based. 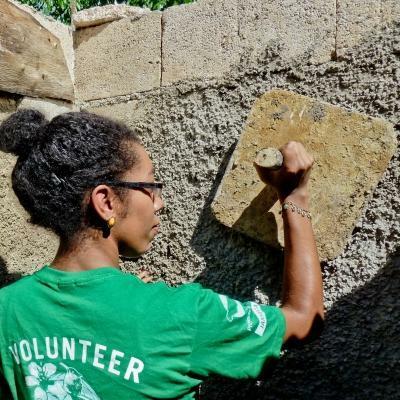 As a Building volunteer in Ghana, you’ll carry out construction work at local schools and renovate buildings that will benefit the community. Akuapem Hills is one of the quieter regions that we work in. You will get to know the locals as you explore and hear shouts of 'Obroni’ (foreigner) as children try to catch your attention. Although a mostly quiet area, the locals in the village know how to entertain! You can join in on the street festivities or try dried fish and yams at one of the many food stalls dotting the main street. The tropical Ghanaian climate is hot and humid with the temperatures reaching over 30 degrees at midday. Because of this, you’ll start your work day at 8.30am and end around 12.30pm, with a 15 minute break around mid-morning. Each morning, you’ll wake up in your host family’s home and put on old clothes you don’t mind getting dirty. To get to the construction site, you’ll catch a tro tro or a shared taxi. Depending on the building progress, you might dig and set foundations, use a press to build bricks out of mud and water, mix cement using shovels, build walls brick-by-brick or assist with the construction of the roof. After the construction is done, you can plaster and sand the walls, paint the walls and design murals, or help with landscaping in the garden. In the afternoon, you can choose to relax or help out with community initiatives such as the reading club for children or sports activities. In your free time, you can visit Cape Coast and learn more about the country’s history of slave trade by visiting the castles and museums in the area. 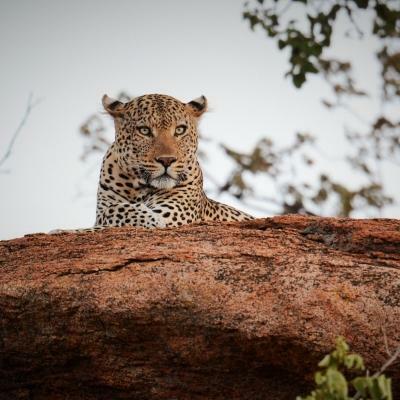 With warm weather year round, Ghana is also perfect if you’d like to spend the day relaxing on the beach or exploring one of the many national parks. The aim of this project is to build important infrastructure in underprivileged communities. In the past, we have built classrooms, accommodation for school teachers, homes, toilet blocks, libraries, bookshelves and more. Many Ghanaians in the more rural areas live on less than one dollar a day, which means that many families struggle and live in inadequate housing. We have been building sturdier homes for families who cannot afford to build their own. Public schools also do not receive sufficient funding so there is a limited number of classrooms available. Many of these classrooms are split between two classes. This can prove quite challenging for the teachers and students who are sharing this small space. To improve the learning environment for both students and teachers, we have been helping with the construction of new classrooms. Through your volunteer building work in Ghana, you’ll provide communities with better-quality homes and the children with safe schooling environments. This will encourage learning and promote a sense of pride in their school. Last summer I decided I was going to stop dreaming and actually go somewhere and do something worthwhile, even if it meant going on my own.